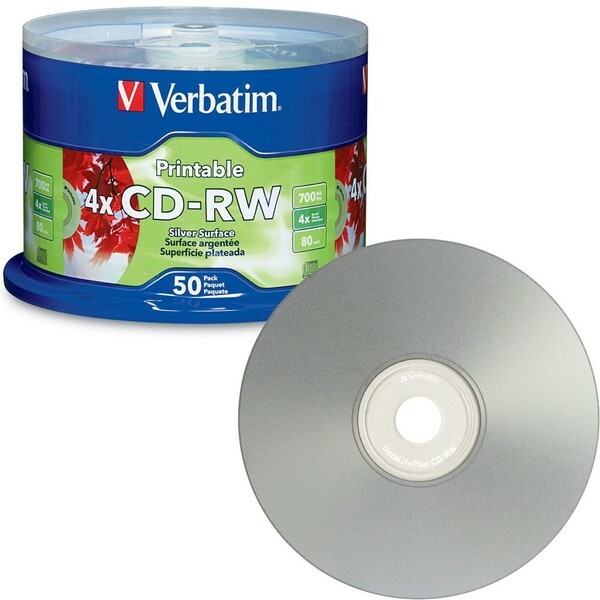 With a silver inkjet printable surface qualified for high-resolution photo quality disc printing, Verbatim DataLifePlus Silver Inkjet Printable CD-RW discs provide exceptional printing and recording performance on CD/DVD inkjet printers and duplicators. 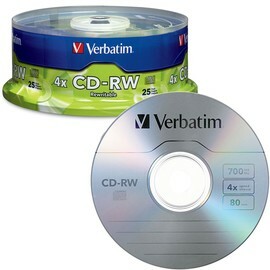 Verbatim CDRW set the standard for performance, compatibility, and reliability. 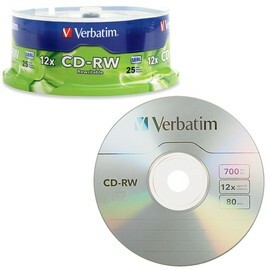 These discs can be erased and rewritten to multiple times. 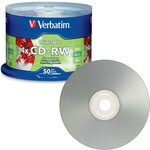 Verbatim 2X-4X CDRW media is ideal for drag & drop recording using packet writing software such as DirectCD.